The Van Cortlandt Park Valve Chamber in New York City's Third Water Tunnel, New York. Beginning at Hillview Reservoir in Yonkers, stage one of the tunnel extends south through the Bronx, into Manhattan and across Central Park. Stage two will provide water to the lower west side of Manhattan and sections of Queens, Brooklyn and Staten Island. Stage three involves the construction of a 16-mile long section of tunnel. It extends from the Van Cortlandt Park Valve Chamber in the Bronx to the Kensico Reservoir in Westchester County. In stage four, water will be delivered to the eastern parts of the Bronx and Queens. Tunnel boring machine technology should allow tunnel workers to excavate at an average of 50 feet a day at a diameter of 23 feet. New York’s City Tunnel No. 3 is one of the most complex and intricate engineering projects in the world. Constructed by the New York City Department of Environmental Protection (DEP), the tunnel will eventually span 60 miles and is expected to be complete by 2021. The total cost of the project is expected to be about $5bn. The size and length of the tunnel, its sophisticated control system, the placement of its valves in special chambers and the depth of excavation, represent state-of-the-art technology. While city tunnel no. 3 will not replace city tunnels no. 1 and no. 2, it will enhance and improve the adequacy and dependability of the water supply system and improve service and pressure to outlying areas of the city. It will also allow the DEP to shut down, inspect and repair city tunnels nos. 1 and 2 for the first time since they were activated in 1917 and 1936, respectively. The City of New York has committed $4.7bn for the project till 2013. "The tunnel will eventually span 60 miles and is expected to be complete by 2021." Similar to city tunnels nos. 1 and 2, stage one of city tunnel no. 3 began at the Hillview Reservoir in Yonkers. About 13 miles long and constructed in bedrock 450 to 800 feet below the surface, stage one extends south through the Bronx, into Manhattan and across Central Park. Leaving the park around Fifth Avenue and 78th Street, stage one stretches eastwards under the East River and Roosevelt Island into Astoria, Queens. Stage one is a 24-foot diameter concrete-lined pressure tunnel, which steps down in diameter to 20 feet. 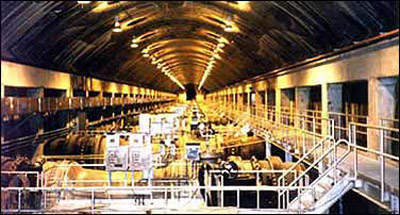 As water travels along this route, it rises from the tunnel, via 14 supply shafts and feed into the distribution system. Stage one started its operations in July 1998 and has been providing water to some residents in Queens, Manhattan and Bronx. Three of the four unique subsurface valve chambers were built to allow the connection of future stages of the tunnel without removing the water or taking any other stage of the tunnel out of service. 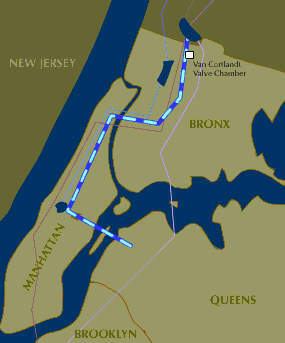 The three valve chambers are located in the Bronx at Van Cortlandt Park (Shaft 2B), Manhattan at Central Park (Shaft 13B) and Roosevelt Island (Shaft 15B). Each valve chamber contains a series of 96-inch diameter conduits with valves and flowmeters to direct, control and measure the flow of water in sections of the tunnel. 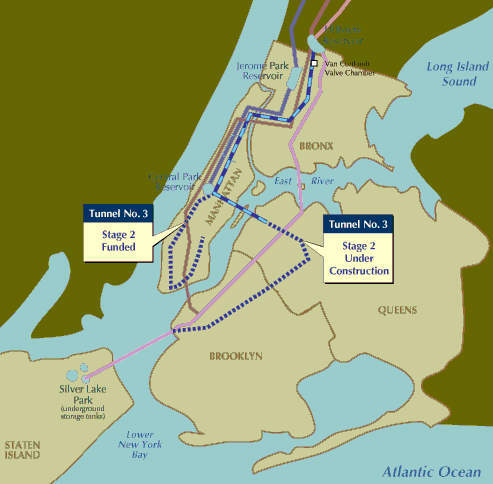 Stage two will provide water to the lower west side of Manhattan and sections of Queens, Brooklyn and Staten Island. More importantly, stages one and two will provide bypass capability of city tunnels no. 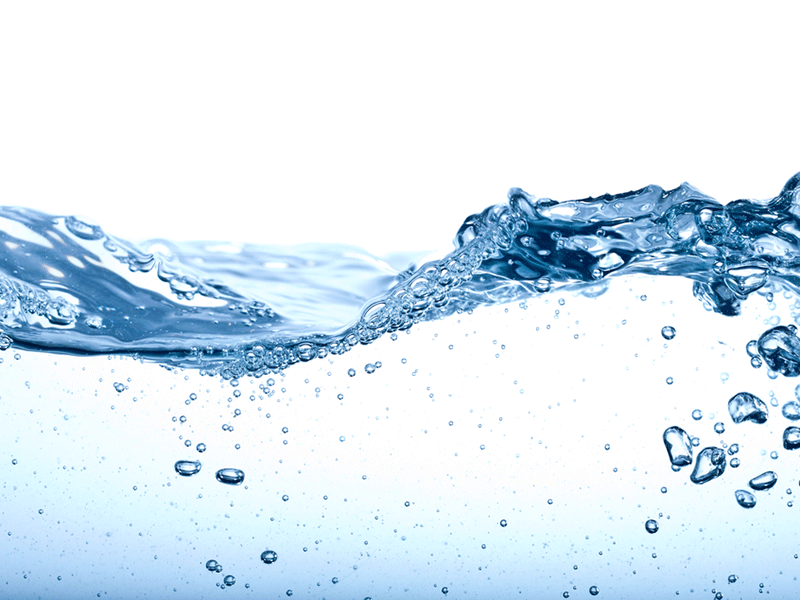 1 or 2, which is essential to maintaining the entire water supply system and avoiding problems. Stages one and two are solely devoted to improving the distribution capability of the system and will not provide any additional supply of water. The tunnelling of stage two was completed in 2006. Stage two is being constructed in two separate sections. The first Brooklyn / Queens section has two distinct legs. The five-and-a-half mile Brooklyn leg begins in Red Hook, Brooklyn, runs through the Brooklyn neighbourhoods of Park Slope, Bedford-Stuyvesant and Bushwick, to Maspeth, Queens. 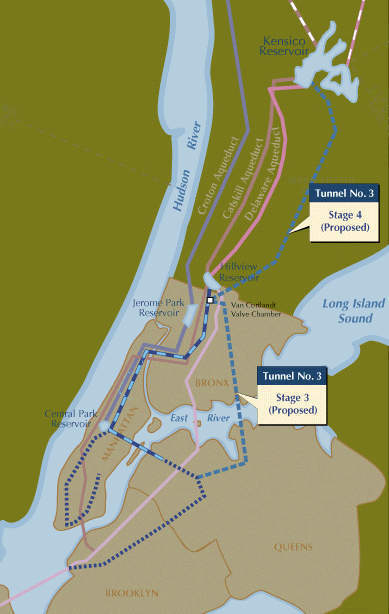 The Brooklyn leg connects with the previously constructed Richmond Tunnel now serving Staten Island. From Maspeth, the Queens leg runs five miles through the Queens communities of Woodside and Astoria. The Brooklyn leg of the tunnel is 16-feet in diameter and the Queens leg is 20-feet in diameter. The tunnelling of the Brooklyn / Queens leg was completed in 2001. The Brooklyn / Queens section of stage two is expected to be completed in 2021. The eight-and-a-half mile long Manhattan section is ten feet in diameter. It begins at the stage one valve chamber in Central Park and runs south along the west side of Manhattan, east to the vicinity of South Street Seaport and north along the east side of Manhattan to 34th Street. Tunnel boring and installation of concrete line and ten shafts along the tunnel was completed in May 2010. The Manhattan section is estimated to have cost around $2.7bn and became operational in October 2013. It can manage the flow of about 350 million gallons of water per day by the borough. Stage three, also known as Kensico-City Tunnel (KCT), is currently under planning. Stage three involves the construction of a 16-mile long section of tunnel. It extends from the Van Cortlandt Park Valve Chamber in the Bronx to the Kensico Reservoir in Westchester County. Stage three will connect the Kensico Reservoir, which contains water from the Catskill and Delaware Systems, to the Van Cortlandt Park Valve Chamber. From the Valve Chamber, water can be delivered to city tunnel no. 3 or to the Hillview Reservoir for delivery to city tunnels no. 1 or 2. When stage three is completed, city tunnel no. 3 will operate at greater pressure, induced by the higher elevation of Kensico Reservoir. It will also provide an additional aqueduct to supply water to the city, which will run parallel to the Delaware and Catskill Aqueducts. In stage four, water will be delivered to the eastern parts of the Bronx and Queens. This final stage will be 14-miles long and will extend southeast through the Bronx from the Van Cortlandt Park Valve Chamber. It will then travel under the East River into the Flushing area of Queens. "Stage one is a 24-foot diameter concrete-lined pressure tunnel, which steps down in diameter to 20 feet." In a design departure from the two existing tunnels, valves which control the flow of water in tunnel no. 3, will be housed in large underground valve chambers, making them accessible for maintenance and repair. The valves for city tunnels no. 1 and 2 are at the tunnel level and are inaccessible when the tunnels are in service. When city tunnel no. 3 is completed, it will include four large underground valve chambers, numerous riser shafts with riser valve and distribution chambers and surface access facilities. The largest of the valve chambers is in the Van Cortlandt Park complex. Built 250 feet below the surface, it will control the daily flow of water from the Catskill and Delaware water supply systems. These systems provide 90% of the city’s drinking water. The Van Cortlandt Park Valve Chamber is 620 feet long (longer than two football fields placed end to end), 42.5 feet wide and 41 feet high. The complex also contains nine vertical shafts, two manifolds – each more than 560 feet long and 24 feet in diameter – and 34 steel-lined lateral tunnels – each more than 100 feet long. Pressure and flow are controlled through a series of valves and flowmeters. Construction of stages two, three and four is greatly accelerated by a mechanical rock excavation technology never used before in city tunnel no. 3. "The machine body of a TBM, which can be as long as 50 feet, is mounted behind the cutter head." 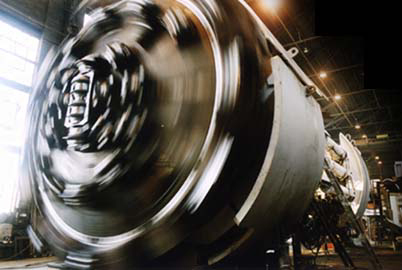 A tunnel boring machine (TBM), which has been lowered in sections and assembled at the bottom of the shaft, will chip off sections of bedrock through the continuous rotation of a series of steel cutting tools (cutters) mounted on a large-diameter, full-circular, welded steel cutter head. The machine body of a TBM, which can be as long as 50 feet, is mounted behind the cutter head. It contains the drive motors and other electrical, mechanical and hydraulic equipment that provide the necessary thrust and torque that is transmitted to the cutters through the cutter head. The TBM, also known as ‘The Mole’, replaces the conventional drilling and blasting methods used during the construction of stage one. It is expected that the improved technology will allow tunnel workers to excavate at an average of 50 feet a day at a diameter of 23 feet – more than twice the previous rate in water tunnel construction through drilling and blasting methods. Another important advantage to using the TBM is that as it bores into the rock, there is less damage at the point of excavation and no noise at the surface to disturb surrounding communities. Grow Tunnelling Corporation, Perini Corporation and Skanska JV, all of the USA, have been awarded the latest segment known as the Queens Tunnel, city tunnel no. 3, stage two segment. The project encompasses five miles of tunnel. TBM excavation began in 1996. Construction of the new Brightwater WWTP, which began with preliminary demolition and clearance work on the 114 acre site in November 2005, was originally scheduled to enter service in 2010. With increased demands for water in California’s San Francisco Bay area, the Water Treatment and Transmission Improvements Program represents a major attempt by the East Bay Municipal Utility District (EBMUD) to safeguard supply to parts of Alameda and Contra Costa counties in the East Bay – including the cities of Berkeley and Oakland.